Two 3" x 2.75" x 3/4" thick closed cell foam pads. Two 3" x 4.75" x 3/4" thick closed cell foam pads. 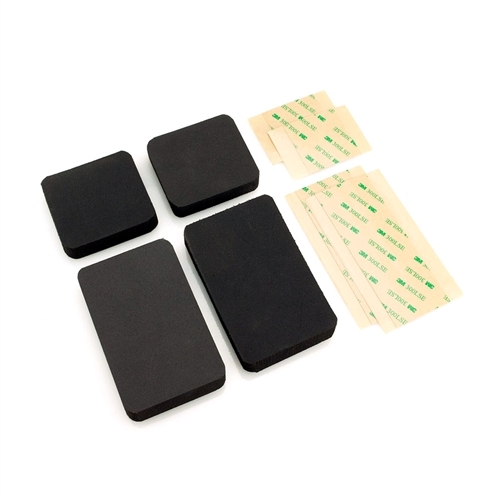 Four pieces double sided high-tech mounting tape (grips foam and powder-coated surfaces).